The deadly crash in Fremont is reigniting concerns over driving while stoned. Marijuana DUI arrests could jump by as much as 70 percent this year in the wake of the legalization of recreational pot in California. Recreational pot has been legal in the state since the beginning of the year, and many people are responsible in how they use it. But, like alcohol, pot is a serious danger on the roads. Mike Lynn, an ER doctor at Highland Hospital and a reserve deputy sheriff, has been a dogged innovator for Oakland-based Hound Labs, where he is hoping to solve the problem of enforcing cannabis on roadways. Since blood tests don’t tell how long THC has been in a person's system, he is helping develop a marijuana breathalyzer test. "In something like this tragedy, where marijuana caused the deaths of three people, that was completely preventable. That was 100 percent preventable," Lynn said. "When it’s in your breath, you’ve smoked. You’ve used marijuana in the last couple of hours. That’s just the way the science works. So I think that can become the new standard down the line." Asked if the California Highway Patrol had concerns when recreational marijuana was approved, agency spokesman Officer Vu Williams said, "Absolutely 100 percent we had concerns about that." He called Tuesday night’s deadly Fremont crash a "nightmare" scenario and said responding officers would use standard methods to determine the driver’s pot impairment. "You can look for physiological signs. For example, you may have dilated pupils, you may have elevated heart rate. You may have the red, watery eyes," Williams said. 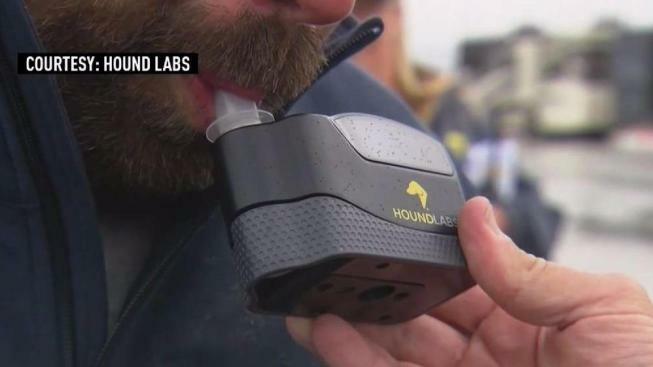 Hound Labs says its marijuana breathalyzer takes the guesswork out of the process and says its device has been tested on thousands of drivers. Legal expert Hadar Aviram of UC Hastings College of the Law wants to see the testing and the proper standards developed. "If a test like this (pot breathalyzer) is in existence, it would change the lives of police officers and the people being tested in the street," Aviram said. "There would need to be a correlation between the percentage of the substance on the breath and the impairment. And that in itself is difficult with a substance that impacts different people in different ways." Any sort of legal standard for quantifying impairment would have to come from lawmakers in Sacramento. As for the breathalyzers, Hound Labs says it’s been working with law enforcement and could have them widely disseminated in 2018.